Intellectual Property laws have often been misconstrued, not only in Dubai, but also in other parts of the worlds. The number of privacy cases is on the rise, despite measures to curb the vice. The only way that business owners can shield their enterprises from privacy is by patenting their trademarks and logos. Registering a trademark confirms that a business is the legal owner of that particular symbol. It is important that companies seek the services of a reputable intellectual property lawyer in Dubai in order to patent their trademarks. The essence of a trademark is to identify the source of a particular goods or services. It distinguishes the products of a particular entity from those of its competitors. Intellectual property lawyers in Dubai can go a long way in legitimizing your ownership. While acquiring a trademark might be easy, registering a trademark is a little bit harder. This is in view of the numerous requirements that a business owner has to fulfill before patenting his or her symbol. Business owners go through various problems processing their applications. Some registration agents may frustrate them, making the process tiresome. Additionally, registration may take a considerably long time, especially if a business owner intends to it on his or her own. Hiring a professional lawyer is the only viable way of eliminating application problems. 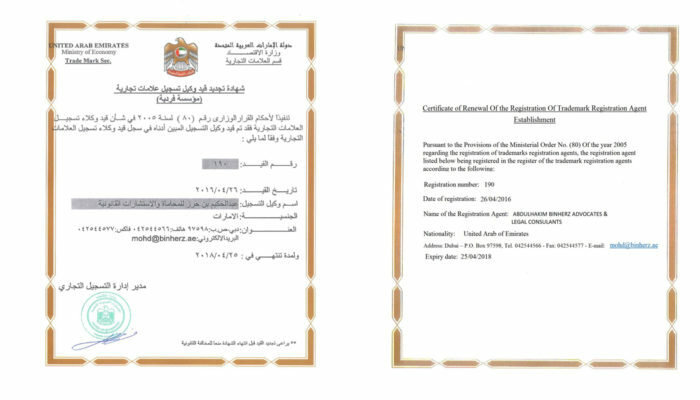 A registration agent performs various function to ensure that the application for a trademark is successful. To reduce the chances of future disputes, a registration agent will perform an availability search to ascertain that no similar trademarks, either registered, pending or in use, exist. A trademark search is important since it also helps applications to establish if their trademarks meet all the necessary design requirements. An agent should not only prepare and present applications on behalf of clients, but also inform applicants on trademark laws and regulations. To save on time discerning the various laws involved, business owners perfect to enlist the services of intellectual Property lawyers. Trademarks fall under various classes. This poses a problem to individuals seeking registration, especially when it comes to establishing the appropriate classification for their trademarks. A trademark registration agent is able to assist applicants overcome the problem of classification during registration. Trademarks for goods fall under a different class, in comparison to those of services. Filling a trademark under the wrong category will only render it unable. An intellectual property lawyer in Dubai is able to check on issues of conformity and advise accordingly. Trademark examination is crucial in realizing a successful application. After receiving applications, a trademark registrar must issues examination report to applicants. These reports may contain reasons for objections to the registration. The applicants have approximately 30 days to respond to the examination reports.This involves appearing before a registrar for a personal hearing. This may prove to be a tall order for a business owner, who may not be conversant with law. For this reason, enlisting a professional trademark registration agent is the only viable option. Once a trademark is proved, the registrar has to publish it in the public domain. Any individual who feels aggrieved by the trademark may raise an objection. A trademark lawyer is able to handle any legal issues that may arise following the publication of a trademark. Once all the objections and opposition issues have been resolved, the trademark is now considered as registered. It is important to note that a trademark is only valid for a certain period. 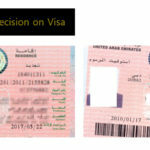 In Dubai, the registration is valid for 10 years, from the date of filling an application. However, applications are renewable, as long as no patent issues exist. 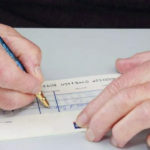 The Late renewal that does not surpass three months is allowed, but it comes with a fine. Enlisting the services of a trademark registration agent saves on costs. An applicant gets the opportunity to continue running his businesses while the agent pursues the registration process. Applicants who decide to go it alone may encounter problems filing their applications, which may be too late rectify. Starting the process all over again may be costly. In contrast, hiring a licensed lawyer is cheaper, as most agents charge minimal service fees. A trademark agent also assists in administrative services. A company might change its address and this will definitely require changes in the records found in the intellectual property office. A lawyer will always be at hand to effect these changes.